It is important for you to know that you are not alone in your rehabilitation process as a new amputee. The number of people living with an amputation is rising in the United States, particularly as a result of diabetic and dysvascular conditions. 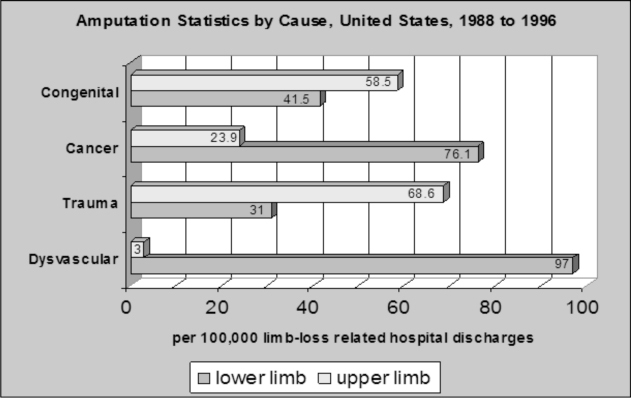 Loss of a limb can occur for a number of reasons. With regard to amputation of a lower limb, the most common causes of amputation include dysvascular complications (possibly resulting from diabetes), trauma, cancer and congenital limb deficiency. Working closely with patients, International Prosthetics employs the latest biomechanical management, materials, and technology to restore function and permit normal motion among amputees.